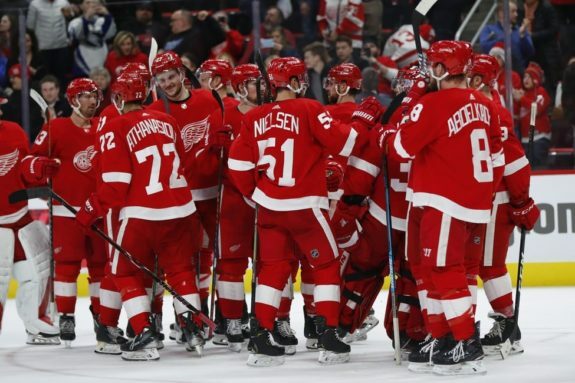 DETROIT — Taro Hirose scored his first NHL goal early in the third period, just 8 seconds after Anthony Mantha completed his first hat trick and the Detroit Red Wings went on to beat Boston Bruins 6-3 on Sunday night. NOTES: Marchand’s short-handed goal broke Boston’s record set by Rick Middleton between the late 1970s and late 1980s. … Detroit D Danny DeKeyser left the game with a lower-body injury.